For the past couple years, DJ C-SIK & Ryan Josue (Illmovements) have been throwing a jammy jam to celebrate their triumph of reaching another year in their lives the only way they know how…by grabbing the other Rewind dudes and thrown' a bash with every Taurus birthday in the city! This year it's going down on SUNDAY MAY 19 (long weekend) at BLACK BETTY. ★ with DREW ATLAS on the mic! 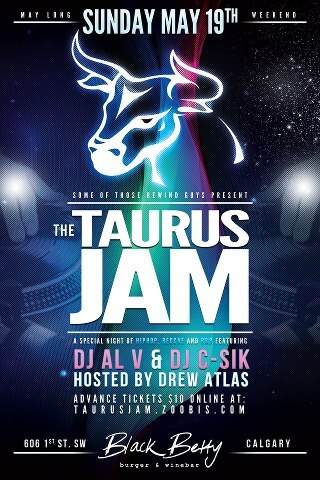 If you have a Taurus Birthday, COME PARTY. Holla at us and we'll set you up with a guest list.